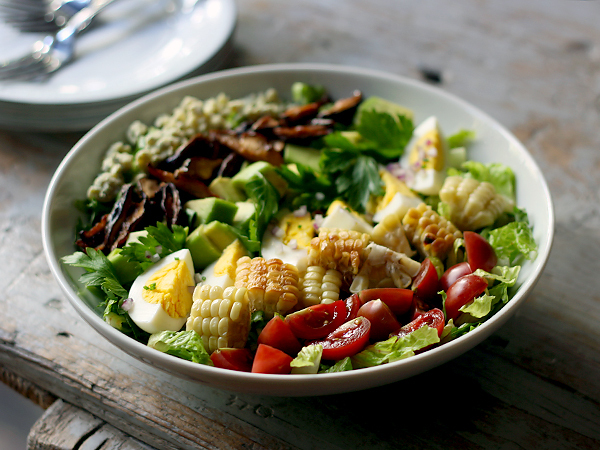 Toss the greens with about 1 teaspoon of dressing per handful. 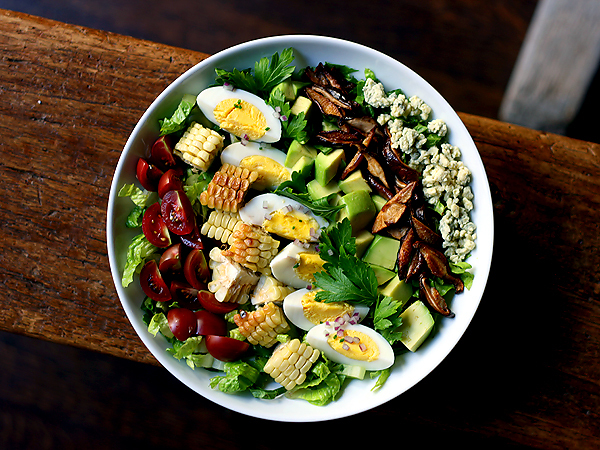 Place the greens in the bottom of the salad bowl of serving plate. 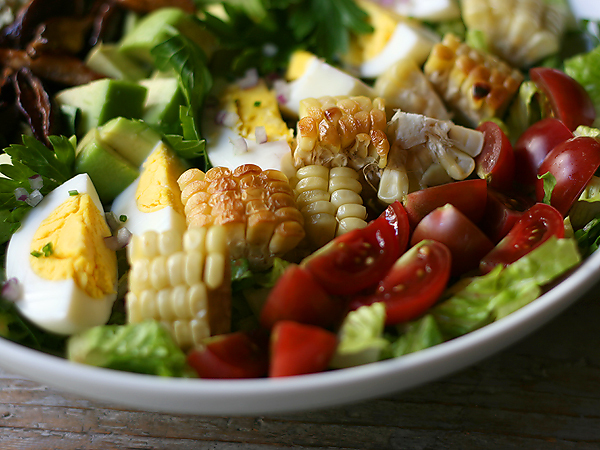 Arrange the tomatoes, corn, hard boiled eggs, parsley leaves, avocado, bacon, and blue cheese (and cooked chicken/turkey) on top of the greens. Sprinkle the eggs with minced shallots and chives. Note no.1: You can also cut the corn kernels off the cob for the salad, but then it’s not as fun. Note no. 2: You can also arrange all the ingredients first and then drizzle everything with the dressing, but that’s a personal preference. I like to taste each of the ingredients naked. Note no.3: There is no Note no.3. I just want to see if you’re still reading, which you are. Cool. Thanks! Rub each cob with a little bit of oil. Place the cobs on a baking sheet lined with foil or parchment. Lightly salt the cobs. Roast in the oven until the kernels are lightly browned (some parts will turn darker than others), about 15 minutes. 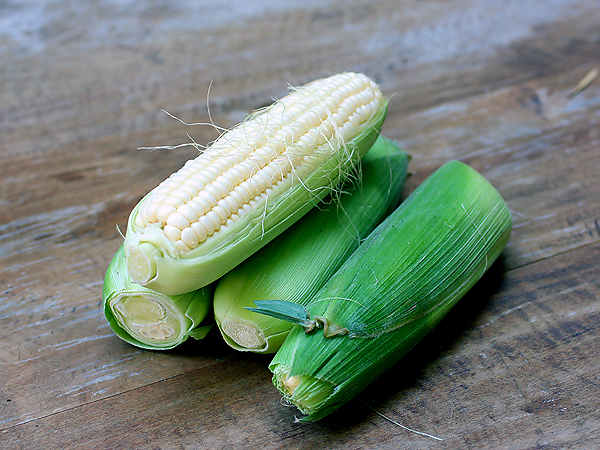 Serve cobs whole, or allow cobs to cool and cut off kernels.